Thank you for stopping by for our date on the Dust Tour. Devon Ashley will be joining us today. We are so excited that she took the time from her busy schedule to answer some questions for us! I had always been good at creative writing, even when I was little. I actually started off writing screenplays for fun. When Ordained placed in a competition and I was given some one-on-one time with one of the judges, she actually suggested I take the story and write fiction. A few years later I did. J Now I can’t seem to stop. 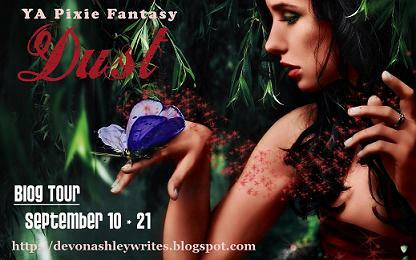 When you first started writing Dust, did you plan for it to be a series? Honestly, no. Originally I thought it would be a dark, stand-alone novel about a pixie irritated over being stolen and determined to break free at any cost. But as I was writing, I really wanted to create the character of Jack, one of her captors, just to work in a little forbidden romance . Dust is all the better for it, and now that Rosalie’s determined to free all the slaves, it’s now become a trilogy. What can you tell us about the next installment? Hmm…hard without putting some spoilers out there about Dust. I can say that in book two, a couple of pixies from Rosalie’s Hollow will find themselves stolen for faerie slave labor as well, which only infuriates our passionate heroine even more. Rosalie, hands down. I’ve always been a leader and someone others come to help them deal with their problems. I love to write about strong female leads that are kick-@ss when it comes to getting the job done, but always have a hint of vulnerability that makes them realistic and likeable. I have a massive yarn stash. Little balls of fluff, fuzz, beaded silk, and chenille stuffed in every hidden nook this house has to offer. Seriously…I have a problem. But I can whip up some wicked knits. A lot like the heroines in my novels. Strong-willed, hard-headed, walls a little tough to break through but lots of love to give, and maybe just a smidgen of stubbornness. Okay...maybe an ounce. If you could hop into the life of any character for a day, who would it be, and why? Never read a review with one star. No author is immune to them, and most are just mean-hearted instead of offering up useful criticisms. Play and read with my two year old boy, Riley. 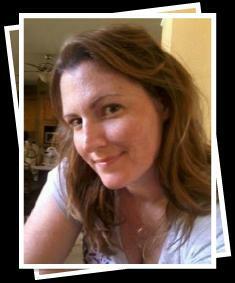 To learn more about Devon Ashley and her books, visit her blog. You can also find her on Facebook and GoodReads. 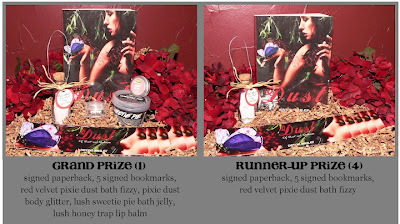 Devon Ashley has put together some pretty snazzy prize packs for you to win! Click on the image for a larger look at the goodies then enter by filling out the Rafflecopter form below! Good luck!